Let me start by saying I AM SO FREAKING DISAPPOINTED. I am not going to beat around the bush. I am saying this flat out: I WAITED MONTHS FOR THE THIRD BOOK AND THIS IS IT?? From a strong start to a weak ending??? THIS IS WHY I HAVE TRUST ISSUES. Never Never in a nutshell is about Charlie and Silas, highschool seniors who wake up one day not remembering a thing about themselves and the people around them. No names, no memories. They managed to retain some things though. Silas still knows how to work a camera while Charlie still has her infinite love for books. Together they attempt to uncover the mystery behind their sudden memory loss while trying to navigate through everyday life as the Charlie and Silas they know nothing about. 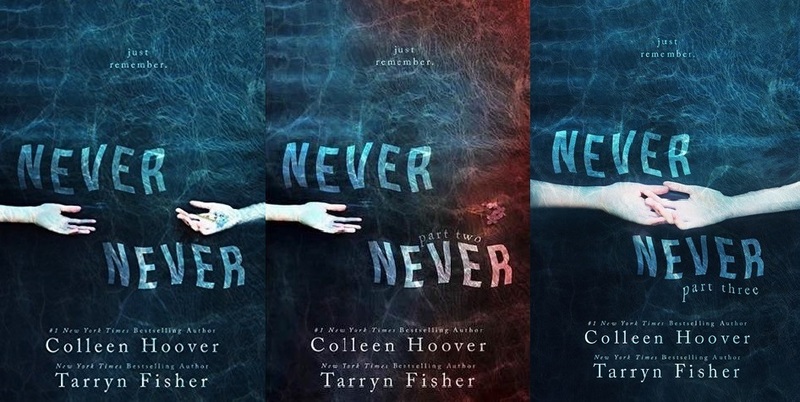 To be clear, I really did enjoy Never Never part one. The writing appealed to me in every way. The descriptions, the transition, the romance, the mystery — it was all very satisfying despite the short length of the book. It made me crave the next books like crazy. And I'm not even a CoHo fan! Part two was pretty much the same except we get a bit more questions and a few answers. I was happy that they were finally getting somewhere on learning the truth! Why did they loose their memories? Who took it? Are any of the people in their lives involved in it somehow?! Is this a paranormal book?!!?! The answer, my dearies, is that it is not. It's not anything. Part three left me frustrated and angry. I felt like I got even more questions than answers in the final instalment of the book. It's a lazy ending, in my opinion. The worst part is that the last book seemed so disconnected to the first two. It went from being intense and mysterious to just plain SAPPY. Like, everything is gonna work out! We'll be fine! Even their siblings started dating towards the end. WTF was that? No need to fill the book with one too many happy endings. Ughhhhhhh I CAN'T EVEN. I try to avoid using that expression as much as I can but it's highly appropriate here. I would've preferred a totally crazy explanation than a rather underwhelming one. With an ending like that, did they really need to stretch it out to three books? I'm done. I'm done. I'm done.